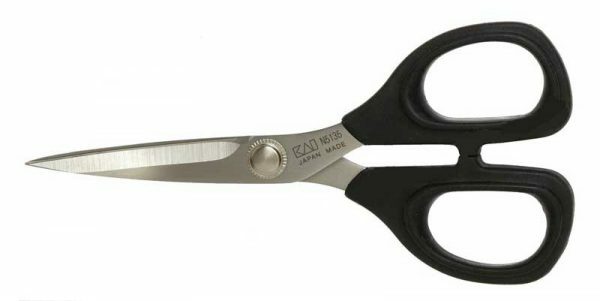 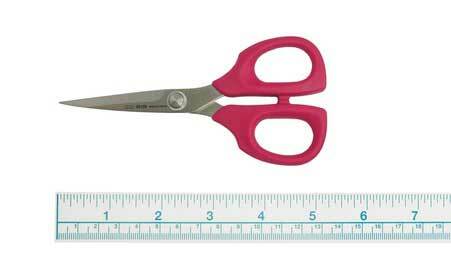 The Kai V5135 5½” scissor has ergonomically soft handles which allow fatigue-free cutting on all types of fabric. 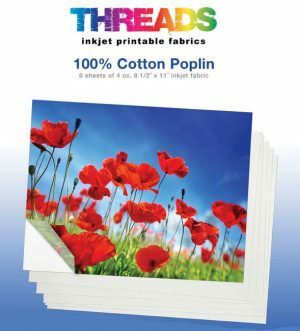 Cuts multiple layers of denim with ease while trimming cottons without any fabric slippage. 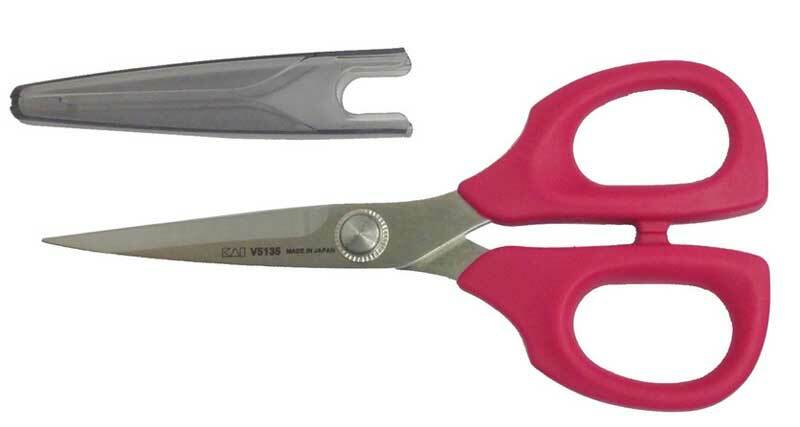 The Kai V5135 has the standard 5000 series blade with Very Berry colored handles. Order Very Berry or Black handles.